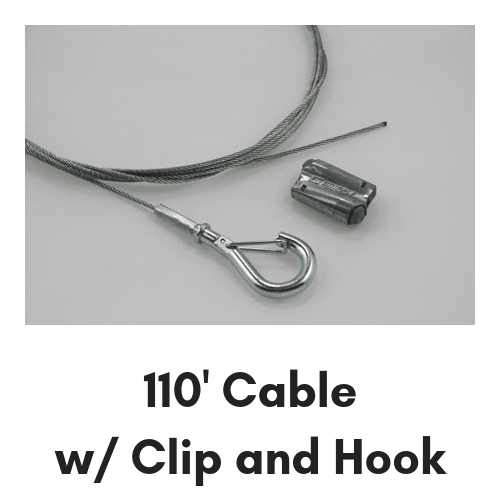 To be used with our Commercial-Grade Heavy Duty Light Strings. 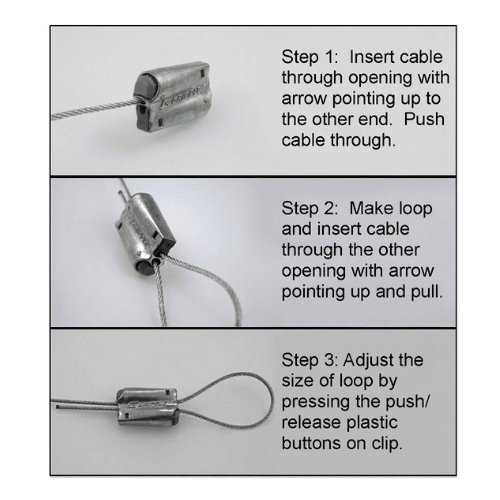 We recommend using our steel support cable (aka Guy Wire) for any light string length over 25 ft. Can be attached using zip ties (not included) with both the In-Line and Suspended Socket Commercial Strings. 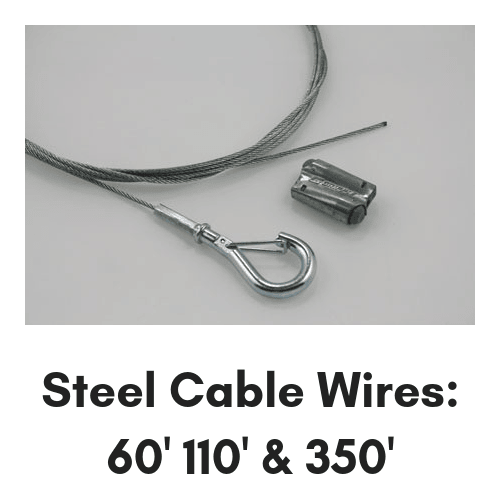 Our steel cables have a load rating of 100 lbs, however, they should be used only for hanging our light strings. 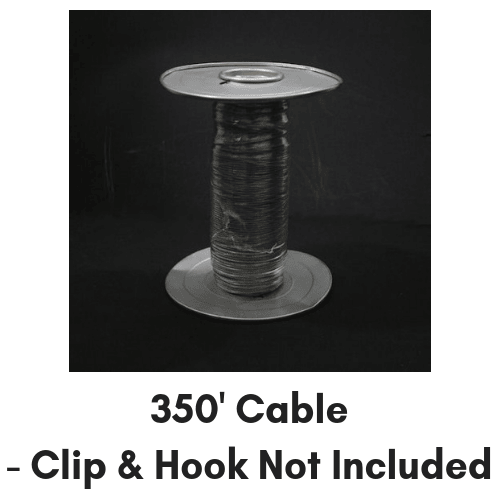 Do not use as a safety device for supporting human weight.